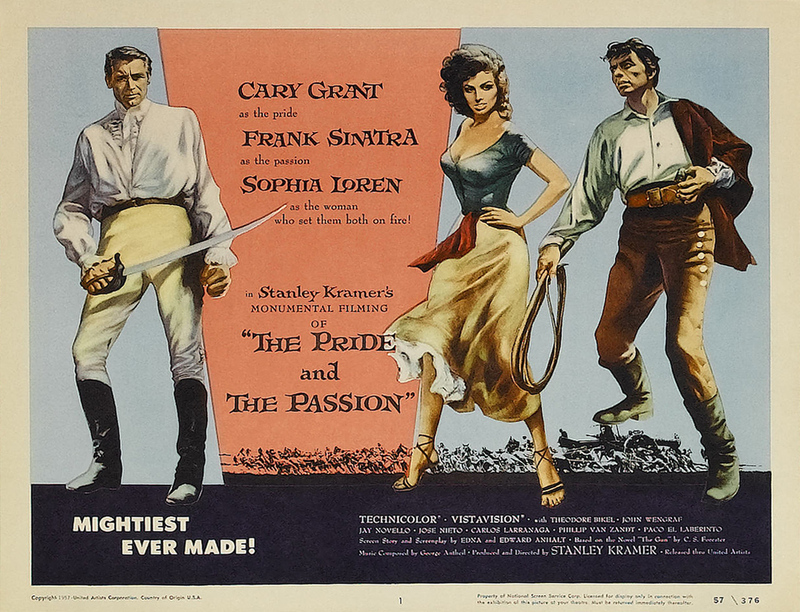 Frank Sinatra, Cary Grant, and Sophia Loren in Napoleonic era Spain. The two men are vying for the woman, butting heads for most of the picture. Wait, there’s more. A big cannon. Okay, that’s it. I knew that my place was next to Carlo — he was my safe harbor, even though I was still waiting for him to make a decision about our lives; our furtive relationship couldn’t go on much longer. At the same time, it was hard to resist the magnetism of a man like Cary, who said he was willing to give up everything for me. On our last night, he invited me out, looking more solemn than usual. Inside, I was afraid. There was a gorgeous sunset outside as he turned to me, looked me in the eyes and said simply: “Will you marry me?” My words got caught in my throat. I was like an actress in a movie who’s forgotten her lines. I felt so small in the face of this impossible decision. 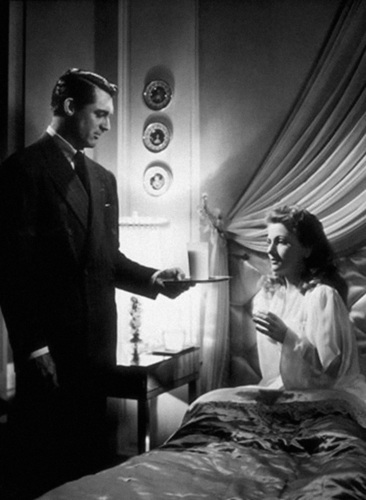 “Cary, dear, I need time,” I whispered breathlessly. So it’s not the greatest Hitchcock film starring Cary Grant (that would be “Notorious”). It’s not the best Hitchcock film that includes a seduction on a train by a long shot — “The Lady Vanishes” and “The Thirty-Nine Steps” do the boy-meets-girl business much, much better. The mistaken identity business is done much better in “The Thirty-Nine Steps,” too. And Grant’s character’s problems with his mother pale in comparison with those of Norman Bates.